There are no major economic reports in Japan but the US will publish Treasury Currency Report, Prelim UoM Inflation Expectations, Prelim UoM Consumer Sentiment, Import Prices m/m and Import Prices m/m. 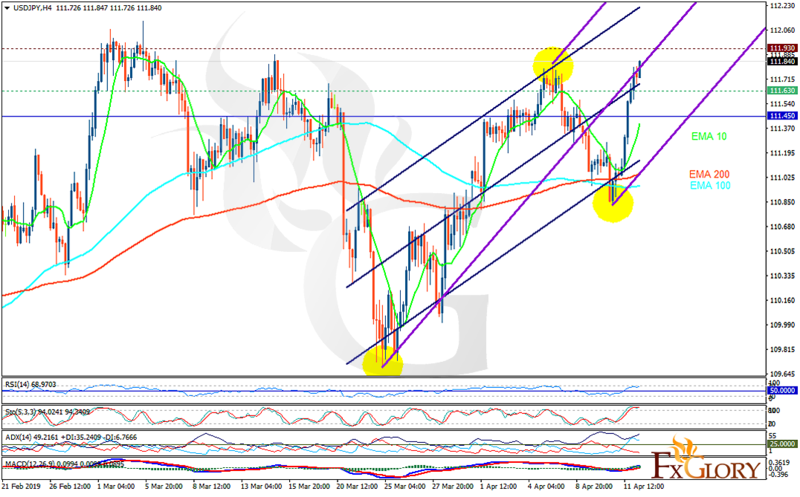 The support rests at 111.630 with resistance at 111.930 which both lines are above the weekly pivot point at 111.450. The EMA of 10 is moving with bullish bias in the ascendant channel and it is above the EMA of 200 and the EMA of 100. The RSI is rising towards overbought area, the Stochastic is moving in high ranges and the MACD line is above the signal line in the positive territory. The ADX is showing buy signal. It seems that the chart is creating a dead cat bounce therefore long positions are recommended towards 112.200.